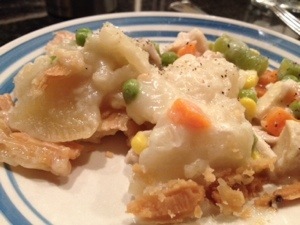 There’s NOTHING like a hot steaming chicken pot pie on a cold cold night. 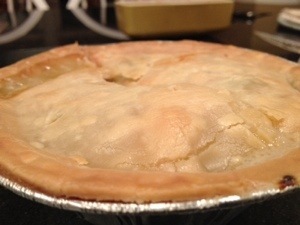 I pulled it out of the freezer and stuck it in the oven at 350 for an hour. 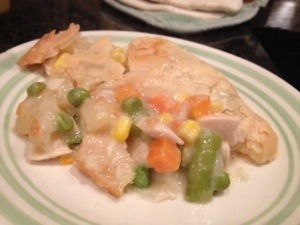 This entry was posted in Chicken and tagged chicken pastry, chicken pot pie, vegetables. Bookmark the permalink.